For our December Challenge Your Stash (CYS), Maggie challenged us to make a New Year card using no alcohol, as not everyone partakes. I made a card and gift jar set for the ESSE adult day care my mom attends for their New Years party. 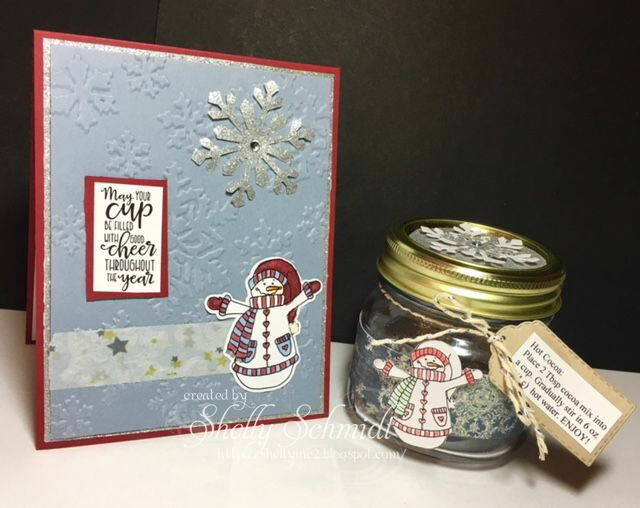 The sweet Country Snowman is from Sweet n Sassy Stamps (digi), and the sentiment is from Verve. 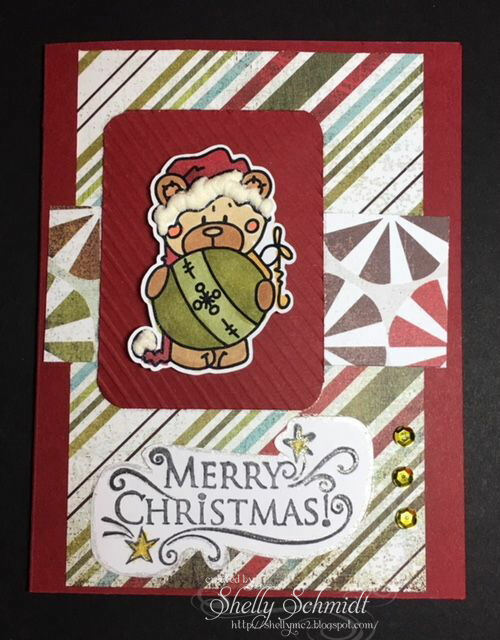 I used a TH embossing folder, some silver sparkly wrapping paper and Cherry Cobbler cardstock. The sentiment is from Verve. The project goals for the clients is to make assemble as easy as possible, so I made a kit and have everything ready to roll. 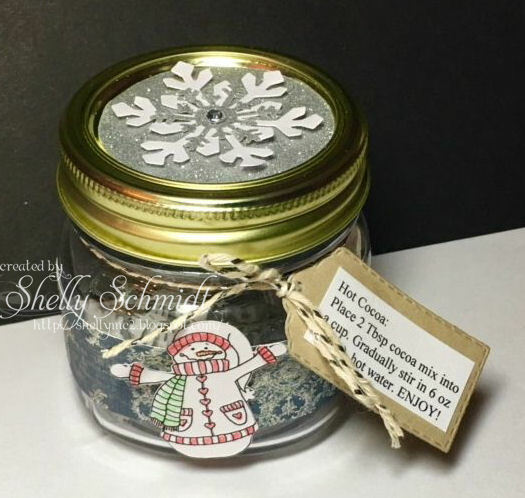 The jar will be filled with hot chocolate and little marshmallows. Mom helped me out by coloring this sweet Country snowman. I used the Scan n Cut to quickly cut out 20 large and 20 small snowmen. And there you have it! Thanks for a great challenge Maggie! The CYS group can be located here. List mom Barb had the brilliant idea- lets use our stash items- with a monthly theme, I am sure finding no shortage of items to use in my creative space for this challenge...!!! Even those in the 'get rid of' pile....... HERE is a link to all of the December 'New Years-no alcohol' the group members posted for this challenge. This year for Christmas, I made a card using a project from the watercolor class I am taking with my mother. I hope for you much peace and joy! Hope you have a Blessed Christmas! A quick and CAS Christmas card. I had this image sitting on my desk- did not get it done for the coffee lovers blog hop, but wanted to finish it anyway. 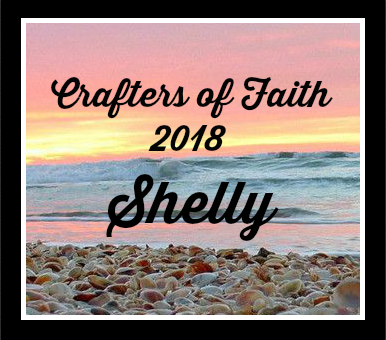 I revised the layout (alot), and decided to use an image from the Unity kit of the month- the coffee background in a pale cream color. 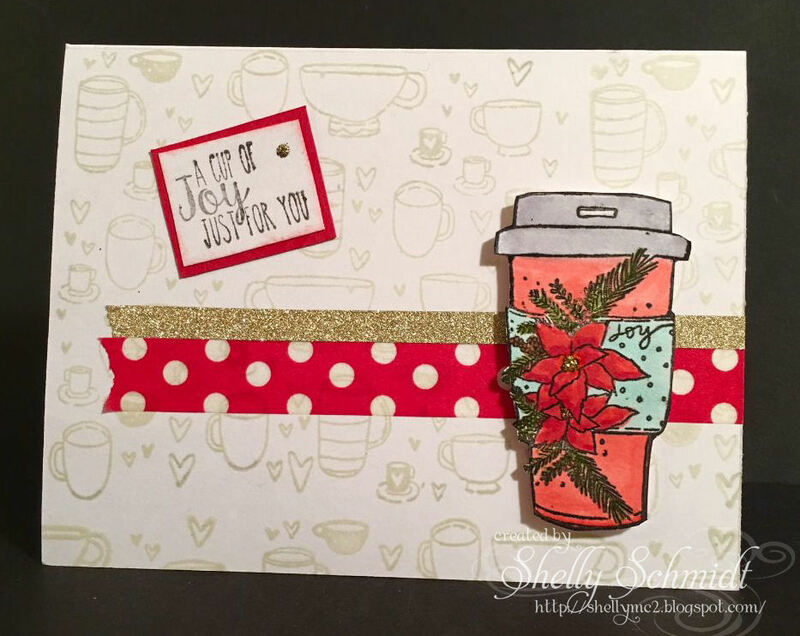 The coffee cup and sentiment are from a Unity set. A little Washi and some glitter glue- plus a touch of Washi- there you go. I hope your Christmas/Holiday plans are going well! 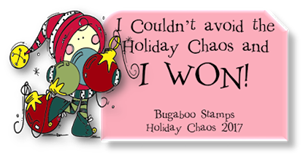 This is day 7 and the last Day of Christmas Crazy over at Bugaboo. The Freebie Friday image is the picture inspiration for today's challenge. I used some DP that has been in my stash for ages. I am not sure where it is from- it is not marked. I colored the freebie image with Copics and highlighted it with Wink of Stella. A fun week of challenges- I enjoy doing this each year when I get the time! 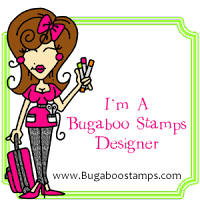 Catch the Bug- Day 7 - Picture inspiration- use freebie if you can! Day 6 of Christmas Crazy is a Color challenge. 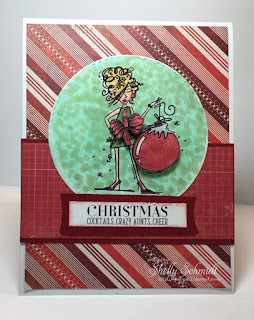 Bugaboo Day 6 Color challenge (Christmas Crazy). Ok, who does not have a Crazy Aunt? 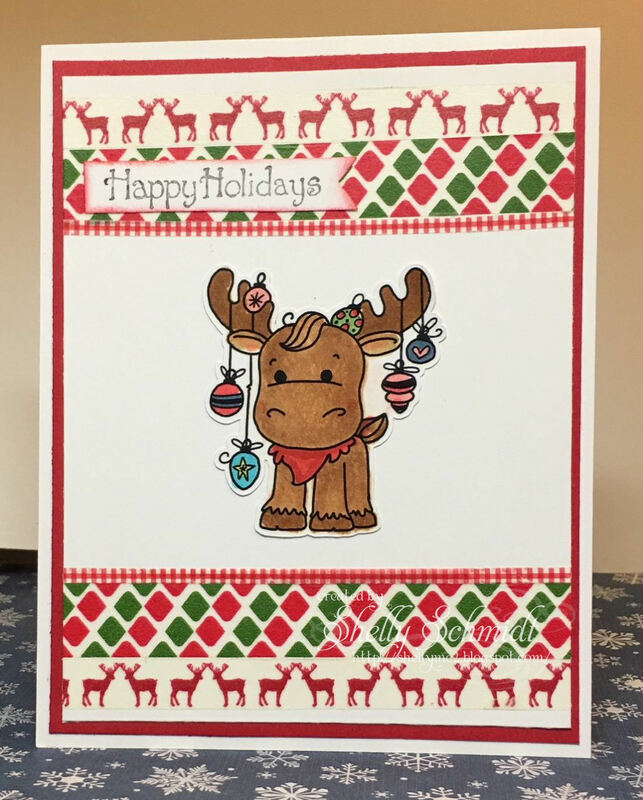 LOL I got a kick out of this sentiment by Create with TLC and thought it paired well with the Christmas Ornament Gal at Bugaboo. 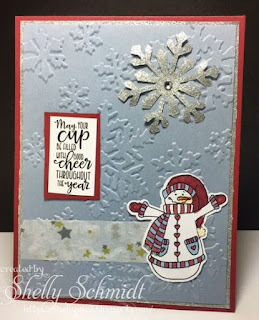 DP is Authentique-from the past : ) Cardstock is White and Cherry Cobbler. I used the center row horizontally. Traditional Christmas colors, Free, Bugaboo image. I colored the images with Zig Brushes- getting used to a new feel for coloring : ) I highlighted a few areas with Copics. The images were trimmed with the Scan N Cut and glued onto the tags. The tag die was purchased on Ebay. The ribbon is from my stash. This is a gift card holder- pretty quick and easy too. 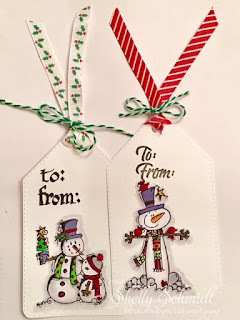 I love this fun 'two snowmen' image. 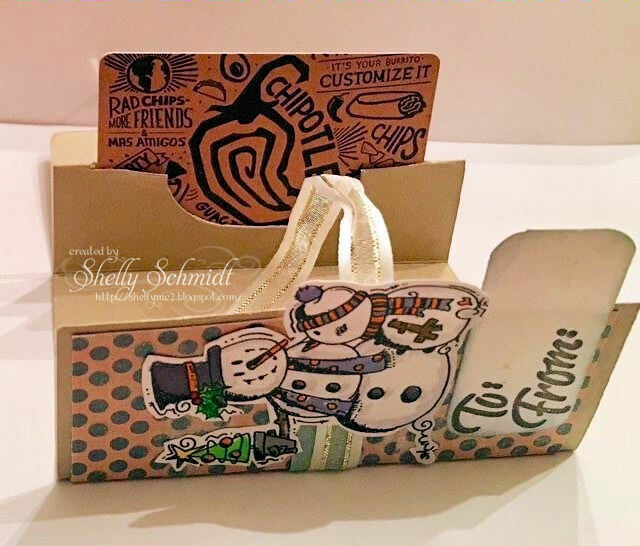 Here is the gift card open. City Crafter- where did you get that hat? It's time for Tuesday Throwdown's posting- our sponsor for this challenge is My Grafico. Today, we are creating a Christmas Scene. I decided to go with a dark owl- my husband thinks they look like penguins. The image is colored with Copic markers. I added liquid applique to the hats on the 2 singing owls. The Cross stitched die is inked up with Autique Paper Distress ink. I added a sentiment is by Unity. The DP is unmarked. The ric rak is Ranger/TH. 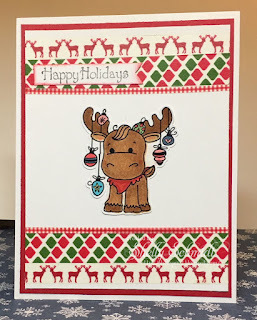 I hope you will join us and link up your Christmas Scene over at Tuesday Throwdown. 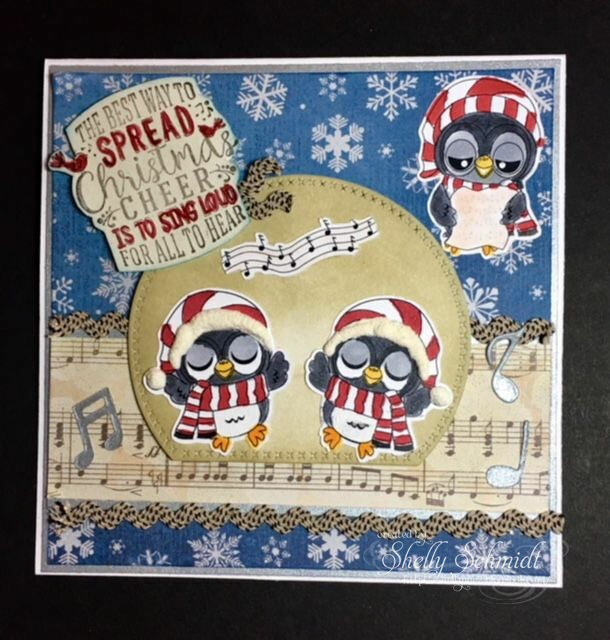 Over at Bugaboo, there is a week long Christmas card challenge, and I love their images so had to join in. Plus, it won't hurt to have a few more cards made! 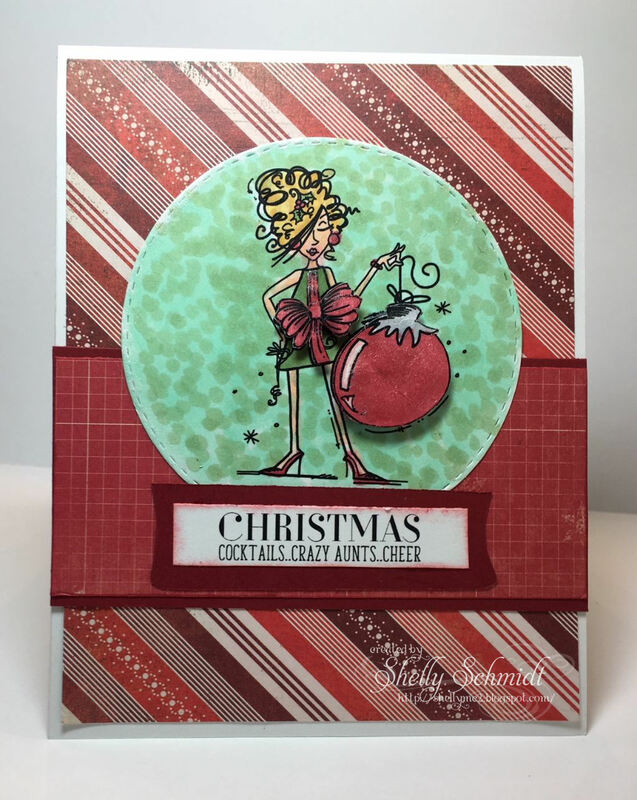 The first challenge theme is Merry and Bright. I had this Christmas DP out from the Gift Card I made last week, so used it again. The image is the Angel Girl Sitter, I cut the image out with the Scan N Cut with a .04 border. I colored with Copics. The hat and ball have puffy 'liquid applique' applied and died. 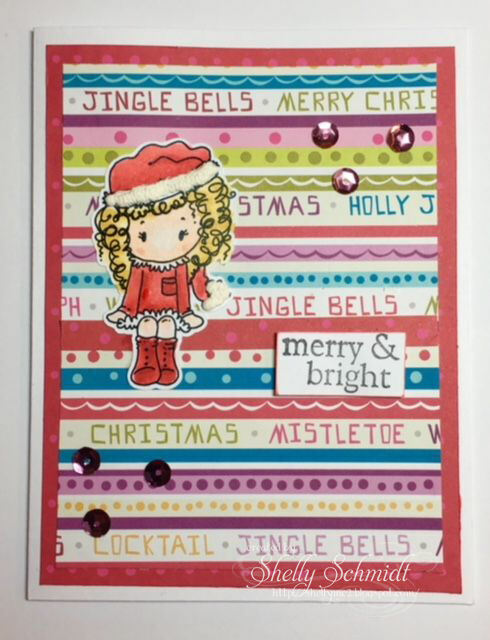 The sequins match the pink dots in the border DP, and are from the Target $1.00 spot. The sentiment is SU.